we got to hear your heartbeat again on friday. it was so good to listen to that strong beat. our midwife says she can tell you’re a boy, because of the speed (then she smiled and winked, and said it’s an old wives tale). we can’t wait to see you in two weeks and find out for sure! we’re really happy about our choice of midwives. we’ve met 4 out of the 6 that work at the birth center. they tell us every time that we’re their easiest patients, because we take care of ourselves and have no problems. plus, they love hearing about the food we make, the things we enjoy doing, and our jokes. your dad is a pretty funny guy, and they respond well to his slightly inappropriate comments teasing. i know you’re growing a lot. this week you’re about the length of a bell pepper. last week i had to unbutton my work pants for the first time, so i can tell how much we’re growing. your dad and i went shopping for a few maternity items, the thing i’m most excited about? maternity leggings. i might just live in them. we’ve been busy working on the first house you’ll live in, our first house as a family. your grandma’s, aunt becky and cousin avery painted your room the perfect color. pebble grey. we cannot wait to start decorating your nursery. we love you very much and are counting down the weeks until we get to meet you! ← how do we choose a name? You are the cutest ever!! Love this post! Awww this is such a cute idea! 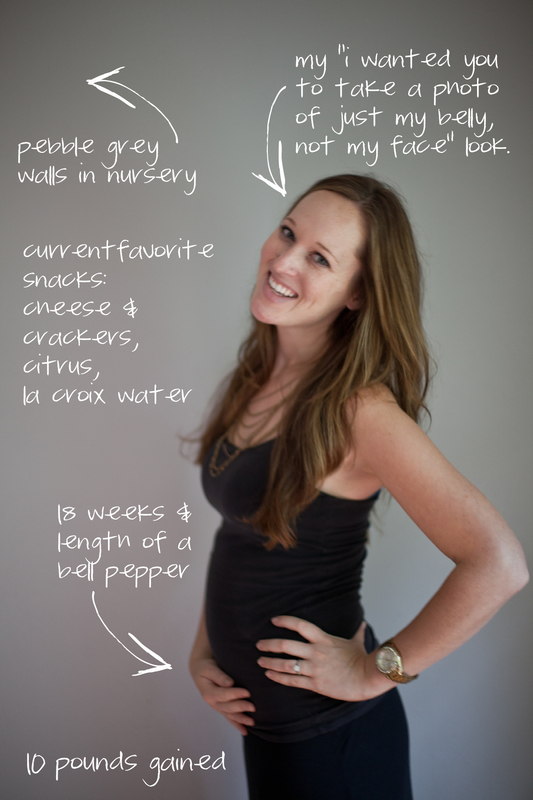 You are sooo creative and a very tiny cute prego! I love your creativity! Congrats to both….and Janet you will love being a grandmother!!!! I cannot wait to meet him or her pebble! love to you three! i can’t wait for pebble to meet YOU!